Please place caps and lids on plastic bottles and containers before placing in recycle bin. Please do not flatten bottles, containers or cans before placing in recycle bin. Please, no plastic bags or glass of any kind. When in doubt, check it out! Please call us at (918) 446-0023. Thank you for feeding Mr. Murph! Natural Evolution is the only “E-Steward/ISO14001 Certified” e-waste provider in the State of Oklahoma. The M.e.t. 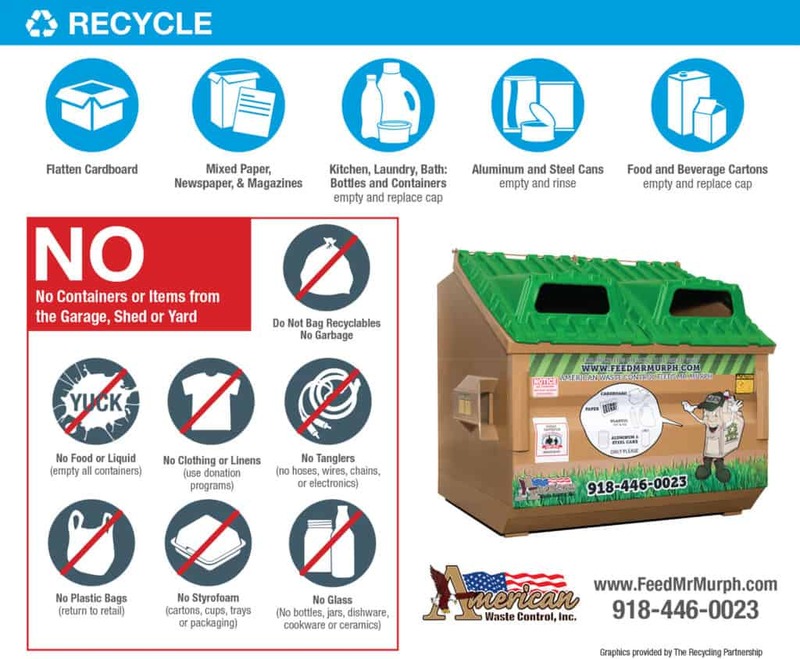 partners with Natural Evolution to provide covenant drop-off sites in and around Tulsa for e-waste disposal. Natural Evolution sanitizes and/or destroys all data containing devices and all processing is conducted within the U.S. and continuously audited to the final destination, which is all important when it comes to protecting your identity and the environment.